Jim LaManno says White Supremacist who went on anti-Semitic shooting spree should never have gotten his hands on two shotguns. The husband of one of the victims of a white supremacist attack on two suburban Kansas City Jewish institutions is suing the entities that sold two shotguns used by the killer. Jim LaManno, husband of Terri LaManno, who was killed outside the Village Shalom assisted-living facility in Overland Park, Kansas, in April 2014, filed a lawsuit Monday against Walmart, Friendly Firearms LLC and the man who purchased one of the guns for the shooter, the Kansas City Star reported. Also named in the lawsuit are the companies who operated the gun show where Friendly Firearms allegedly sold one of the weapons to John Mark Reidle, a friend and fellow white supremacist of the shooter, Frazier Glenn Miller. Miller was convicted of three counts of first-degree murder in the deaths of Reat Underwood, 14, and his grandfather, William Corporon, 69, outside the Jewish Community Center of Kansas City in Overland Park, and LaManno, 53, outside Village Shalom. 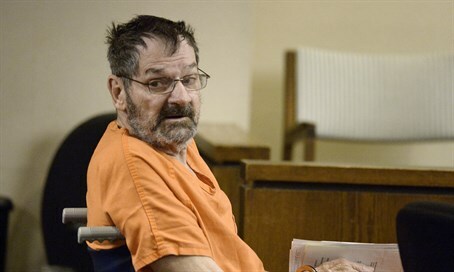 None of the victims were Jewish, but Miller assumed they were when he shot them. Miller was sentenced to death in November in the killings. Reidle, 48, of Aurora, Missouri, pleaded guilty last fall to falsely claiming on a federal form that he was buying that gun for himself. Miller, a former Ku Klux Klan grand dragon, is unapologetic about the shooting, in which he said he was trying to kill as many Jews as possible.